His oath, his covenant, his blood supports me in the whelming flood. This morning I received a newsletter from, The American Spectator, an online news source that features opinions, reviews of social, political, economical and world events. The newsletter stated that it had an important message from Stansberry Research, a financial market analysis group which offers investment advice and publishes a range of investment news. Stansberry Research is one of the top Investment Research firms in the U.S. and around the world. This important video message presents a warning about the coming economic collapse in America. Of course, Stansberry Research is not the only group sounding the alarm, many economists and those involved in business media are warning of a coming collapse as well. According to Business and Media Institute of the Media Research Center, there was an UNREPORTED George Soros event that took place on April 8, 2011, aiming to Remake the Entire Global Economy. This group, a group which Soros's has funded with $50 million, has held a major economic conference. According to Soros, his goal for such an event is to "establish new international rules" and "reform the currency system." The article explains that it's all according to a plan laid out in a Nov. 4, 2009, Soros op-ed calling for "a grand bargain that rearranges the entire financial ordeal", as reported by the Japan Times, there is No alternative to a new world architecture. The event brought together "more than 200 academic, business and government policy thought leaders' to repeat the famed 1944 Bretton Woods gathering that helped create the World Bank and International Monetary Fund. Soros wants a new 'multilateral system," or an economic system where America isn't dominant. The Stansberry Research alert has put out a video presentation explaining our current economic crisis. It is a rather long video, one that you will feel the urge to turn off in the beginning as he explains his many reasons for making such a video, but hang in there the rest of the presentation is well documented and thoroughly explained, and will be posted at the end of this article. Also, at the end of this message, he offers some short term advice in the event of a severe economic crisis, and long term financial advice. The short-term advice is good advice in any crisis. However, I am not advocating any advice he may offer to protect your money towards the end of this message. That decision is between you and the Lord. I am simply warning about the economic tsunami heading our way, and how that relates to Biblical prophecy. Whether or not this crisis actually happens I still believe that it is wise to be forewarned. Jesus warned us in the scriptures. The weathermen warn us of a coming hurricane, tornado or tsunami. 1) In the event of such a catastrophe, and if you live in an urban area, have someplace else that you can go to ride out the immediate crisis. Martial law will be initiated, stores may close, banks will close, power and water may be shut off. Rioting, violence and chaos always follow a catastrophic event. I remember the San Francisco earthquake and the rioting and the violence. Katrina is another example of what might happen when people are terrified and desperate. So if you have a relative or friend outside of the city in which you live, make a plan to stay with them in the event that such a collapse should happen. 2) While you are waiting out the crisis, he recommends that you have enough food, water and medical supplies to last at least 6 months. We have heard this advice before by our local news media for weather related warnings. Remember, that you will not be able to count on the government during this crisis, and that is true of most crises. The truth is that should a crisis come like he is suggesting the government won’t even try to save individual American citizens; the government will be much more concerned with saving itself. Dry beans, rice, pasta and canned goods store well. Don’t forget toiletries and water. Remember it’s just a warning. I’m neither a prophet nor expert, but I’ve been hearing these reports for the past year or so. With the overwhelming evidence presented in this presentation, and should this actually happen, I’d like to be prepared for it, and I’m sure that you would too. My purpose for posting this particular article is not to induce fear or to incite more political rallying and such, as I don’t believe that the things that have been set in motion can be stopped. I am simply publishing this information to warn of the perilous times that are on the horizon, that we might prepare ourselves as we wait for the coming of our Lord and King. To those who say, "I'm not worried; the LORD will take care of us, His children", absolutely and AMEN! The LORD will indeed protect and provide for His children. Yet consider Joseph in Egypt: the LORD gave Pharaoh a dream and Joseph the interpretation (note- a secular 'source' but with the interpretation of one of God's faithful by the Spirit). By this, Joseph saw the wisdom of creating stores for 7 years, to provide for the 7 yrs of famine, and as a result, all Egypt as well as all Israel was saved. It’s not a 'lack of faith' to make preparations. Though I hold no confidence in man’s wisdom, or the wisdom of leading experts, we must be ready for what lies ahead by placing our complete confidence in the Lord and praying for wisdom. He alone will strengthen us and carry us through. I am also aware that there have been many heralding warnings about a coming crisis: Larry Burkett's Coming Economic Crisis and Chuck Missler's warning about Y2K, these things didn't transpire either. True; however it’s always prudent to prepare for eventualities that don't actualize in our every day world, than to not prepare and be caught with no provisions whatsoever. The events unfolding before us have been foretold within the prophetic word of Scripture centuries ago. Our future and our hope do not rest in this world, but the world that is to come. Many in the Church today who have bought into the fables of Dominion theology are in for a rude awakening. The harsh reality is, God hath already declared in his word what would come, and that is the Judgment. Had His Church been paying attention to that inspired warning, they would not be caught unaware as His prophetic Word is being fulfilled. I don’t have to point out the fact that the whole world seems to be in upheaval. In the past few years we have seen and are experiencing things as never before imagined. From natural disasters such as floods, earthquakes, fires, tsunamis and such; to unnatural disasters such as nuclear power meltdowns and oil spills. This world has embraced: atheism, communism, humanism and any philosophical ism that separates from God and from biblical truth. We are watching world governments being overthrown, economic collapse, social collapse, and a push for globalism. Our freedoms are diminishing more everyday while our own elected government leaders are undermining our Constitution, our National Security and our National Sovereignty. There is a skyrocketing interest in all things spiritual (the occult, the new age, pagan and eastern mystical practices), while overwhelming immorality has become socially acceptable and trendy. Selfishness, violence and greed are in the driver’s seat of humanity. False religions are growing by leaps and bounds, and as a result so is the rise of Christian persecution, the hatred for biblical truth, and Jesus Christ who is the TRUTH. We are watching the Church collapsing before our eyes because of compromise and the lack of biblical discernment. We are WORD poor and worldly minded….that spells catastrophe! If we have been paying attention at all, we have probably heard and read the warnings of a coming New World Order by those who have been labeled “conspiracy theorists.” This coming World Order will be set up with a global economic system, a global religion, and a global government. As the world continues to deteriorate, and uprisings and wars consume us, the world is looking for a messiah, a deliverer, but not THE Messiah, Jesus Christ. There is one that is coming who will promise peace and safety…and the world will gather around him and worship him. This is the Anti-Christ and he will set himself up as the (false) Messiah to be worshiped by all. Many have been warning of this coming global system. Those who have been setting off the alarm have been ridiculed by the public and the news media…until now. For now the government openly admits that these are their plans and we are quickly heading in that direction. Like it or not, these plans have already been set in motion. Does the Bible speak of such things? The prophet Daniel described this New World Order this way. Before I post the video presentation, there is some rather current news on the economy that may interest you and which sheds more light on some of the information provided in the presentation. I’ll try and keep this short, because the video is rather long and will cover the economic history of how we’ve arrived to the point of economic collapse and a future global monetary system. Still, keep in mind that these things were written down in the scriptures, centuries ago. “The IMF (International Monetary Fund) issued a report with plans to replace the U.S. dollar as the world's reserve currency. CNN reported that The IMF said Special Drawing Rights, or SDRs, could help stabilize the global financial system. Rs represent potential claims on the currencies of IMF members. They were created by the IMF in 1969 and can be converted into whatever currency a borrower requires at exchange rates based on a weighted basket of international currencies. The IMF typically lends countries funds denominated in SDRs. IMF’s Bancor Last Man Standing? One World Currency to Rule Them All? Are you wondering who the IMF is? The following description is taken from Wikipedia. The International Monetary Fund (IMF) is the intergovernmental organization that oversees the global financial system by following the macroeconomic policies of its member countries, in particular those with an impact on exchange rate and the balance of payments. It is an organization formed with a stated[dubious – discuss] objective of stabilizing international exchange rates and facilitating development through the enforcement of liberalising economic policies on other countries as a condition for loans, restructuring or aid. It also offers loans with varying levels of conditionality, mainly to poorer countries. Its headquarters are in Washington, D.C., United States. The IMF's relatively high influence in world affairs and development has drawn heavy criticism from some sources. The International Monetary Fund was conceived in July 1944 originally with 45 members and came into existence in December 1945 when 29 countries signed the agreement, with a goal to stabilize exchange rates and assist the reconstruction of the world's international payment system. The International Monetary Fund was conceived in July 1944 during the United Nations Monetary and Financial Conference. The representatives of 45 governments met in the Mount Washington Hotel in the area of Bretton Woods, New Hampshire, United States, with the delegates to the conference agreeing on a framework for international economic cooperation. The IMF was formally organized on December 27, 1945, when the first 29 countries signed its Articles of Agreement. The statutory purposes of the IMF today are the same as when they were formulated in 1943 (see Assistance and reforms). The IMF's influence in the global economy steadily increased as it accumulated more members. The number of IMF member countries has more than quadrupled from the 44 states involved in its establishment, reflecting in particular the attainment of political independence by many developing countries and more recently the collapse of the Soviet bloc. The expansion of the IMF's membership together with the changes in the world economy, have required the IMF to adapt in a variety of ways to continue serving its purposes effectively. In 2008, faced with a shortfall in revenue, the International Monetary Fund's executive board agreed to sell part of the IMF's gold reserves. On April 27, 2008, IMF Managing Director Dominique Strauss-Kahn welcomed the board's decision of April 7, 2008 to propose a new framework for the fund, designed to close a projected $400 million budget deficit over the next few years. The budget proposal includes sharp spending cuts of $100 million until 2011 that will include up to 380 staff dismissals. At the 2009 G-20 London summit, it was decided that the IMF would require additional financial resources to meet prospective needs of its member countries during the ongoing global financial crisis. As part of that decision, the G-20 leaders pledged to increase the IMF's supplemental cash tenfold to $500 billion, and to allocate to member countries another $250 billion via Special Drawing Rights. On October 23, 2010, the Ministers of Finance of G-20, governing most of the IMF member quotas, agreed to reform IMF and shift about 6% of the voting shares to major developing nations and countries with emerging markets. As of August 2010 Romania ($13.9 billion), Ukraine ($12.66 billion), Hungary ($11.7 billion) and Greece ($30 billion) are the largest borrowers of the fund. According to a Bloomberg report, the SDR is a hybrid. SDRs are part U.S. dollar, part euro, part yen and part British pound. In particular, the following is how each SDR currently breaks down…. Currently there are calls for other national currencies to be included in the melting pot such as Russian President Dmitry Medvedev who has publicly called for the national currencies of Brazil, Russia, India and China to be included in the SDR. Back in January, the Obama administration stated that it fully supports the eventual inclusion of the yuan in the SDR. It appears that we are moving in the direction of the SDR becoming a true global currency. An IMF paper entitled “Reserve Accumulation and International Monetary Stability” was published last year. It proposed that a future global currency should be called the “Bancor” and that a future global central bank could be put in charge of issuing it. IMF’s proposal of a global currency is just one aspect of a coming one-world economic system and a one-world central bank. Again, I’d like to state that I am not advocating any advice coming from the world, but only wish to point us back to the Bible. The coming economic collapse and the rising of a New World Order have all been foretold in the Scriptures. I am reminded of the warning given to the disciples by Jesus. Matthew 24 gets into great detail about future events and the sorrows that are to come. Though some of the prophecy here is dealing with the destruction of the temple and Jerusalem, I believe the rest is referring to the end times, or the end of the world. 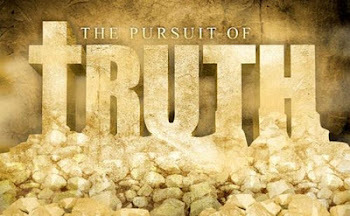 Though I’m sure that the disciples might have been looking for a precise time or time frame as to when these coming events would take place, the answer Jesus gives them looks much further than their question and gives instruction to His Church concerning the great events of that age, as well as His second coming at the end of time. The question is, “What shall be the sign of thy coming?” Good question. I wonder how many in the Church today are searching the scriptures for that very answer. With all the bickering going on in the Church over whether the rapture will occur before or after the tribulation, we are missing the important warnings and signs given by the Lord. Jim and I both believe in a pre-tribulation rapture of the Church, but that does not mean that we believe that the Church will be spared all of turbulent trials heading our way. In verses 4 and 5 of Matthew 24, Jesus mentions the appearing of false prophets who would deceive. They would claim divine inspiration and a spirit of prophecy, but it is all a lie. Are we not seeing this happen in the Church today? Look at the movements driving today’s Christians. We’re seeing everything from the Postmodern Movement to the Emergent Church, the New Apostolic Fathers (signs and wonders group), the Date Setters of Harold Camping, the Mormons amongst many others all proclaiming a divine message from God, but are contrary to scripture. Look at Oprah’s new spirituality, Glen Beck’s Divine Spirituality Tour…and the myriad of others proclaiming Divine Inspiration and prophetic utterances. The scriptures are warning that there would be pseudo Christ’s who claim that we are all gods…the power within and so forth….Just turn on the television…you can’t escape them. The devil has been busy making promises to the poor, the oppressed and the hopeless….look at all the political promises made in the last few years. A Change….and just look at the millions who have bought the lies in hopes that this will save them. The government cannot save us. And the world is starting to recognize that all these promises are coming to naught. Yet do they turn to the Lord? Do they repent? No, they will seek another who will tell them exactly what they want to hear…who will promise peace and safety…….but then, sudden destruction. In verse 6, Jesus speaks of wars and rumors of wars. Are we not a witness to nations rising against nations, great commotions and uprisings who are overthrowing governments? In verse 7, world hunger and great suffering are described…famines, pestilences, and earthquakes…According to a world hunger educational statistics report, there were more that 925 million hungering people in the world in 2010. Look at all the pandemic warnings in the past few years. The latest earthquakes in Japan caused staggering devastation. According to some experts, Japan’s disastrous March 11 earthquake has had a lasting geologic impact on the earth. Italy’s National Institute of Geophysics and Volcanology preliminarily found that it moved the planet’s rotation axis by 25 centimeters. A U.S. Geological Survey seismologist Dr. Daniel McNamara told The Huffington Post, “The land actually dropped, so when the tsunami came in, it’s just staying.” The earth movements caused a slight contraction in the overall circumference of the planet, which has shortened the length of each day by about a millionth of a second.1 Like a spinning figure skater bringing his or her arms inward to increase speed, the earth appears to be rotating the tiniest bit faster now. If the aforementioned things weren’t horrifying enough, Jesus makes in incredible statement. He says that “this is just the beginning of sorrows.” This is just the beginning? In verse 9 we see that Jesus is warning them of great persecution coming to those whose faith is in Jesus Christ. Christian persecution is not only on the rise, but is virtually ignored by this country and other European countries around the world. Many of our brothers and sisters around the globe are threatened, beaten, imprisoned and murdered for their faith in Jesus Christ. And while millions have been slaughtered, the world has turned a blind eye. That is why we have dedicated a page on this website called Christian Persecution Alert (CPA). Our purpose is to inform our readers of the atrocities taking place, to support our brothers and sisters in prayer and also to support by whatever means possible. Have you not been effected by those who once proclaimed faith in Jesus Christ and have now become dull of heart and of hearing? The fervent love they once held in their hearts for the Lord and proclaimed to the world has turned cold and has grown icicles. Have you grieved over those souls who you once fellowshipped and served with as they their heart warms towards the things of this world? 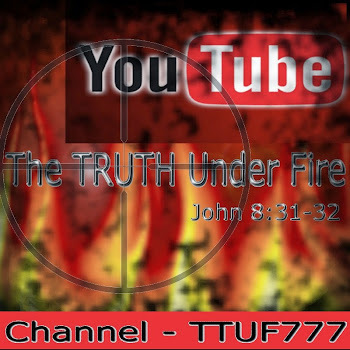 Have you watched them as they embrace sinful folly and ignore biblical truth? The compromise and the lack of a troubled conscience is epidemic in Christian circles. So many are embracing every wind of false doctrine…why is there no discernment? Their conversation is worldly, their interests are worldly, and they are enamored with the idols of this world rather than the Creator of this world. Have you been the recipient of their scorn? Have you been ridiculed for trying to remain pure and holy and set apart unto God? Has your most heart felt pleading, nudging, and the admonishing of scripture been met with rejection and accusation? Have you been accused of being intolerant, legalistic and overzealous; or are you just plain ignored and tuned out. Are you concerned for our kids as they are being enticed away from the Lord by the temptations of this world? The Lord said it would happen, and it is, right before our very eyes! I will place my hope and trust in Jesus Christ! I would like admonish all of the saints to pray that the LORD will temper this chastening/judgment with mercy and 'soften the blow' as it were by those in the employment of His enemy. The 'goblins', as we refer to them, would seek a harsh reality for those of us who are comparatively poor. God always tempers His judgment with mercies. We need to intercede for this nation, the world and the church across the globe. Yes, I firmly believe that we are entering the time of the end, and these warnings are in fact coming to pass before our eyes. I believe that Jesus is coming just as he claimed he would. I also believe that there will be a rapture of the Church before the time of the Great Tribulation. I implore those reading this to take head to these warnings and to get ready. Jesus is coming and when he returns to this earth, He will return as King of kings and Lord of lords and Judge over all. Thanks for your comment. I agree completely...that's why we did not endorse his investment plan. His in depth history of this financial crisis provided much needed education to the general public. And his advice with storing food, water, medicines is important in any crisis. As Christian's our hope is in the Lord alone. He promises to meet all of our needs according to His riches in glory. Look up! Jesus is Coming Soon!!! !